RSSOwl is based on a platform that can be easily extended with additional functionality. RSSOwl provides several add-ons. If you open the Tools – AddOns – Find add-ons you see the list of add-ons available for your platform. The most popular is the possibility of RSSOwl changing newsgroup reader to NNTP clients. Other useful add-on that was recently added is Offline Mode that makes it possible to stop all network access fromRSSOwl during offline mode is active. You can install RSS Reader on Ubuntu 12.04 Precise/Ubuntu 11.10 Oneiric/Ubuntu 11.04 Natty/older Ubuntu Versions/Linux Mint Versions. RSSowl is cross platform apps, support and can used on Linux (32 Bit and 64 Bit), Windows, and Mac OS X. You can download RSSOwl Reader in other Languages here. 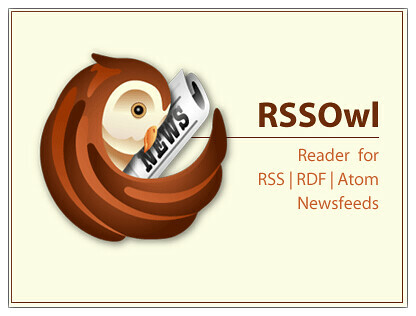 No Comment to " Install RSSOwl Reader App on Ubuntu/Linux Mint "